Utility has never been this comfortable. 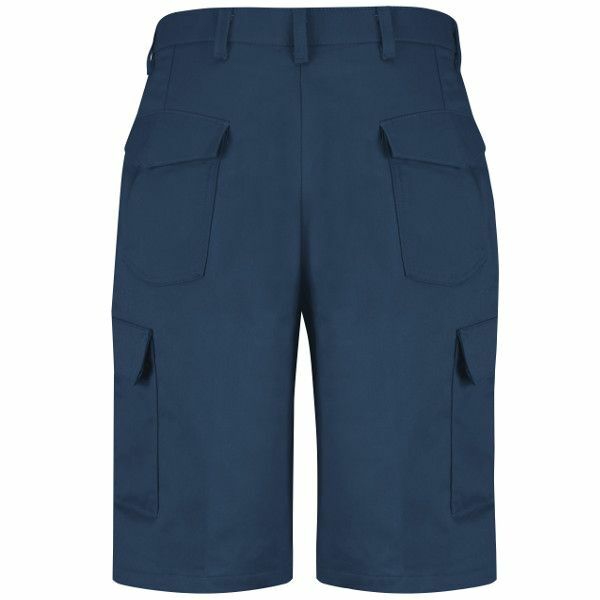 Our 12" inseam shorts with snap cargo pockets are made of 100% wrinkle-resistant cotton for easy wear and care. Pack what you need and go…comfortably. 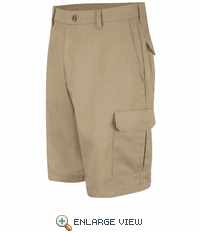 Care:Light Soil Home or Industrial Wash.
Closure: Heavy-duty brass ratcheting zipper, button closures. 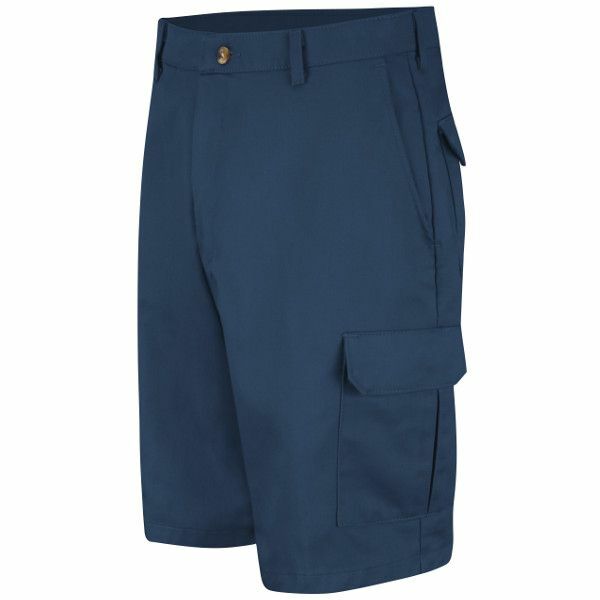 Pocket: Two superstitch slack-style front pockets, two back patch pockets with spade flaps and snap closures, two patch leg pockets with inverted center pleat, one piece pocket flap with mitered corners, two snap closures.